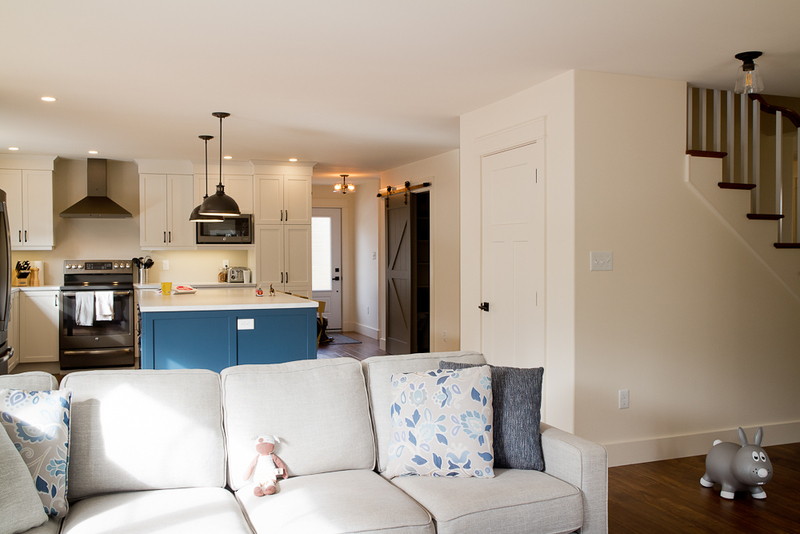 New home construction – interior and exterior finishes, hardware, lighting, plumbing fixtures, furnishings, layout, cabinetry, mill-work, and colour for a young family in Pereau, Nova Scotia. Please see below for this client’s review of my design contributions to this relaxed modern farmhouse. It was easy to be enthusiastic about your home build, Heather and Allan! You both had great ideas and were open to being challenged to take a few chances. You engaged me to help you design a harmonious and practical home that would accommodate your growing and changing needs over the years. You also wanted my help to nudge you outside of your comfort zone to create a cheery home with an injection of fun, and together, we succeeded. Yours is a happy home – perfect for you and your growing family! Your kind and thoughtful review means a great deal to me. Thank you!